April 09, 2018 - A herd of more than 500 buffalo ran into the famous Mwamba-Kaingo lion pride on their way to a watering hole. The standoff occurred over the span of 30 minutes. 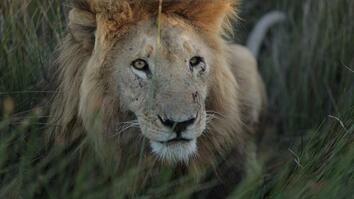 Lions are skilled buffalo hunters. Usually they try to isolate a single buffalo from the herd to make it easier to kill. But these buffalo didn’t panic and stayed close together as a unit. For this behavior, they were rewarded with their lives and a well-earned drink of water. The famous Mwamba-Kaingo pride will have to find their next meal elsewhere. 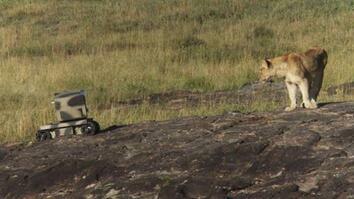 A herd of more than 500 buffalo ran into the famous Mwamba-Kaingo lion pride on their way to a watering hole. The standoff occurred over the span of 30 minutes. 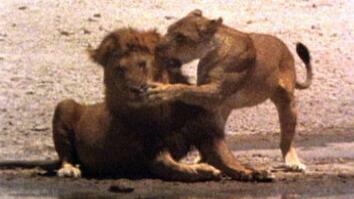 Lions are skilled buffalo hunters. Usually they try to isolate a single buffalo from the herd to make it easier to kill. But these buffalo didn’t panic and stayed close together as a unit. For this behavior, they were rewarded with their lives and a well-earned drink of water. The famous Mwamba-Kaingo pride will have to find their next meal elsewhere.